Huge price reduction!! 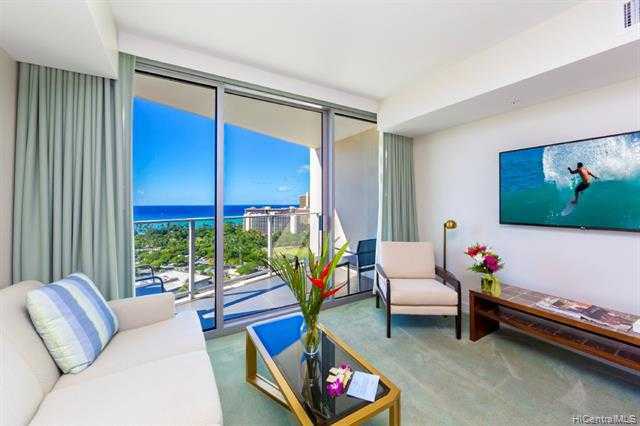 Stunning turquoise Ocean and green Park views from Ritz-Carlton Residences in Waikiki. Breathtaking vistas of iconic Waikiki shoreline captivate throughout. Thoughtful modern floor plan with high-end appliances & finishes, Resort-style bath with walk-in shower with soaking tub, ample closet & storage space throughout. Incredible location near the entrance to Waikiki; high-end shops & restaurants nearby, with sandy Waikiki beach just a couple blocks away. Welcome home to Honolulu’s Paradise. Please, send me more information on this property: MLS# 201830402 – $658,000 – 383 Kalaimoku Street Unit 2212, Honolulu, HI 96815. I would like to schedule a private showing for this property: MLS# 201830402 – $658,000 – 383 Kalaimoku Street Unit 2212, Honolulu, HI 96815.